Another bunch of calves branded for Ken & Virginia McKee in Wooly Canyon yesterday, the culmination of a 4-day gather of tough country by younger men than I, all good hands on good horses with good dogs. Much has changed since I first branded my own calves in 1968. 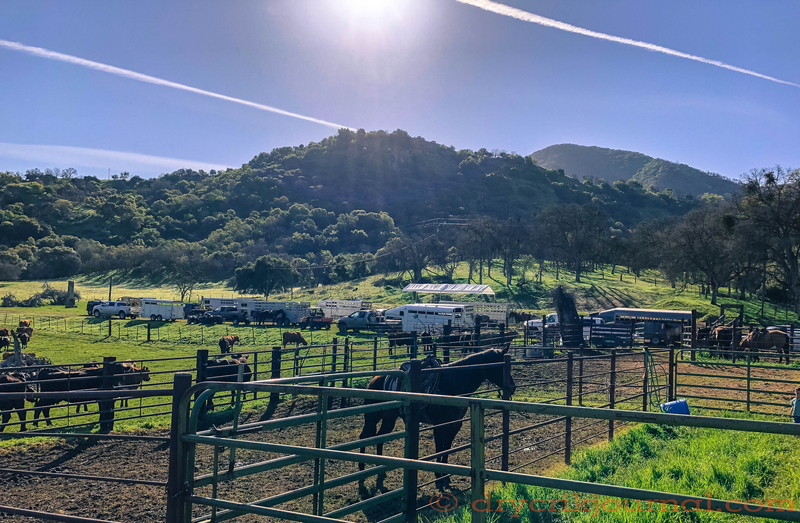 Gooseneck trailers have replaced bob-tailed trucks, pipe instead of board pens, women in the branding pen, but the ground remains pretty much the same. Robbin, Bob, Terri and I went to help our dear friends and neighbors get their calves marked as we’ve done for years. It’s a 45-minute drive up Dry Creek Road to the Mountain House and curvy decline down 245 to the corrals, a green, E-ticket ride of crimson redbud blooming and piles of wildflowers spilled like gold coins around every turn in road as the sun breaches the ridgelines—almost a fantasy. And was I relieved to see them parting cows from calves when we arrived thirty minutes earlier than normal, but mostly to know I’d be in the branding pen with cowboys I’ve watched mature into cowmen with talents with a rope I strived for, but never quite attained, to watch my back. The cattle culture in this part of Tulare County is in good hands.